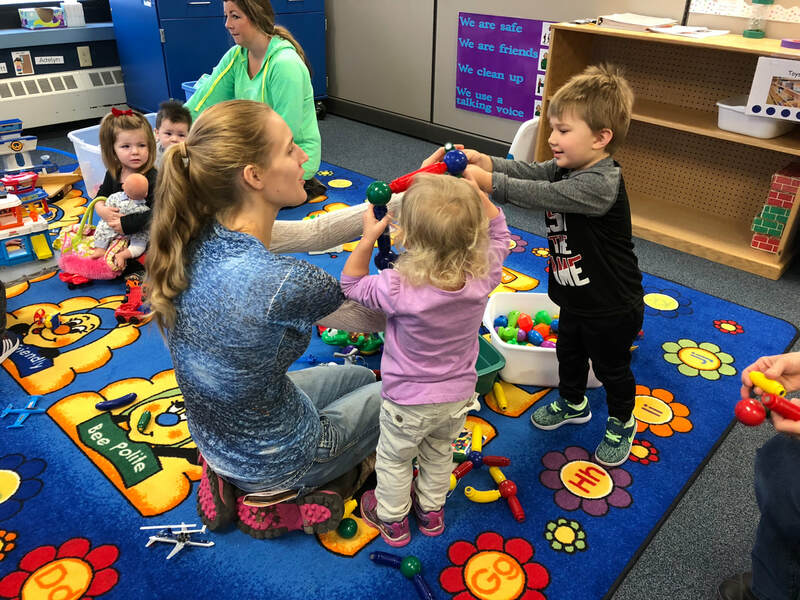 Early Childhood Family Education (E.C.F.E) is a program for all parents and their children from one to five years of age. It supports parents, children’s first and most important teachers, and offers children activities that promote learning and development. Non-separating E.C.F.E. includes: A time for adults (parents, grandparents, caregivers, etc.) and children to come to school together! This class is designed for adults and toddlers (12-24 months of age) who are not quite ready to separate. A typical class would include together time, circle time and snack. This class will give you a chance to spend some uninterrupted time together participating in crafts, games, and other activities. Separating E.C.F.E. includes: A time for adults (parents, grandparents, caregivers, etc.) and children to come to school together! 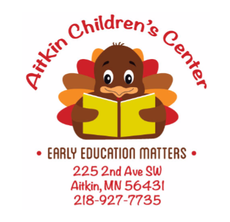 This class is designed for adults and children 18 months through pre-kindergarten age. 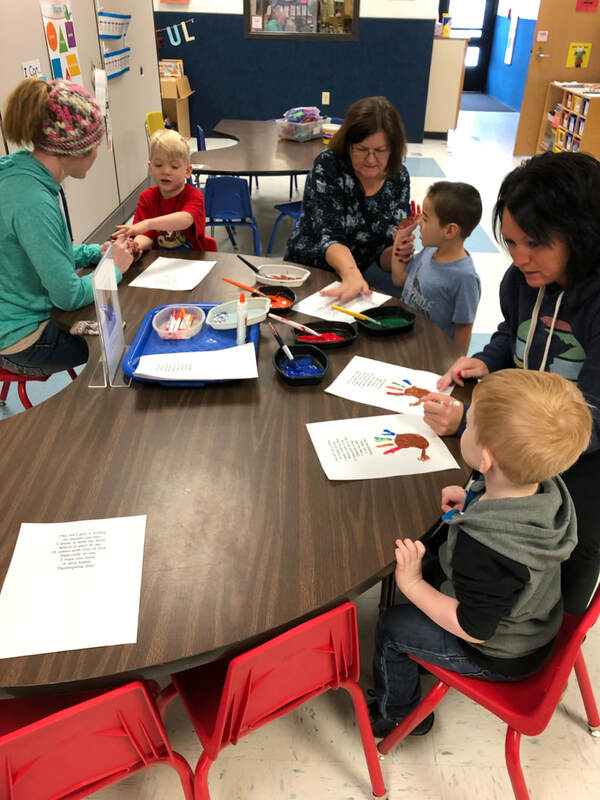 In the separating ECFE class, adults and children engage in crafts & games, a short circle, and snack. 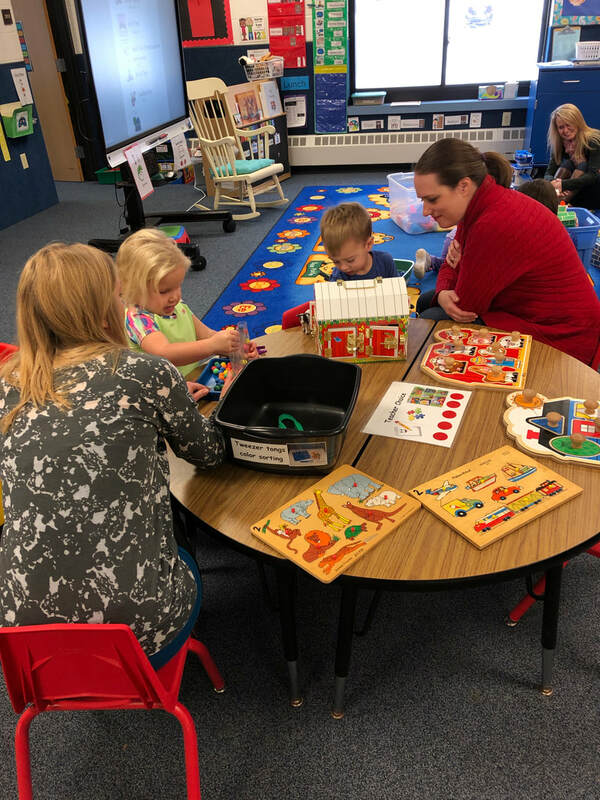 Snack is followed by parent conversation led by an educator in a separate room while children engage in structured play with center staff. 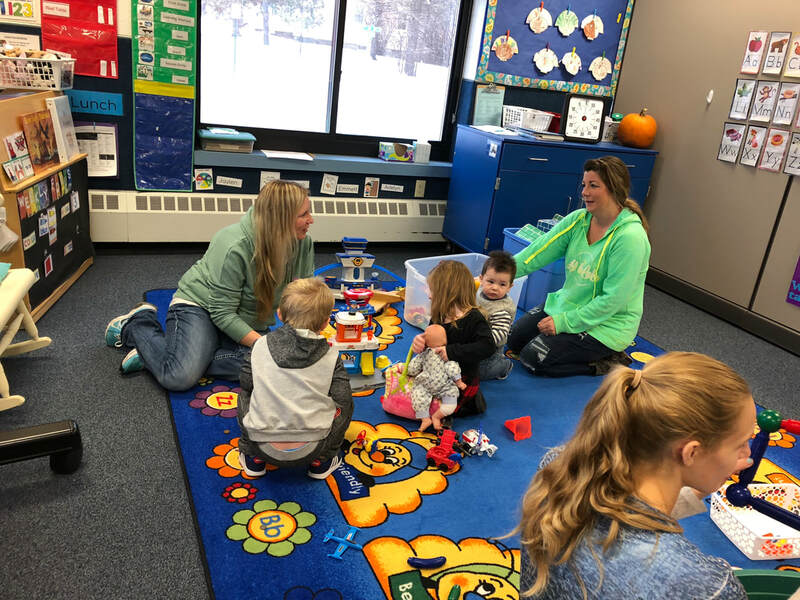 Parent conversations focus around topics such as controlling emotions, expressing emotions, following directions, promoting independence, self-help skills, and interactions with adults and other children.